Selling your child’s old bike to fund a new bike is a great way to help keep the cost of a new lightweight kids bike down. 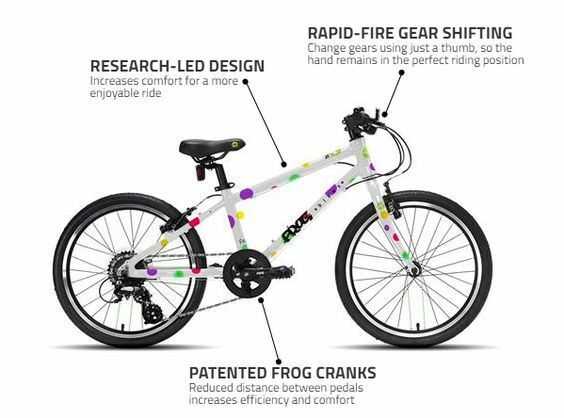 The bikes we sell on our website are all selected because they are lightweight and they have been designed especially for children, not just smaller versions of adult bikes. 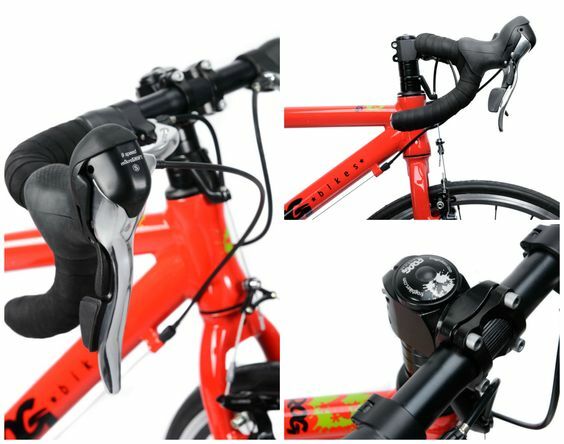 The attention to detail on some of the bikes we stock is on a par with top adult bikes. This means that if kept well the bikes will retain their value. (a good argument for buying new too if you’re trying to persuade someone!) For example, Frog Bikes have been growing in popularity year on year – we were one of the first bike shops to stock them – and some can sell for well over 50% of their purchase price, in fact most sell for much more than that if in reasonably good condition. Just look at this list of Frog 52 bikes sold on eBay. In this post we’ll give you a few tips to sell a child’s bike on the internet to get the best price. eBay – pay 9% commission on some sales. Use the fee calculator here. You’ll need to decide if you’re going to sell auction style with a minimum price or have a buy-it-now fixed price. If it’s a sought after bike like the Frog 55 in great condition, you could maximise the sale value by going with the auction option, pitting parents on the lookout for a particular bike against each other. Facebook Market Place – You won’t pay fees, but it’s mostly limited to your local area. Gumtree – not as well known as eBay but it’s free, people are encouraged to search in their local area but can search the whole UK. There are many more marketplace sites where you can sell a bike. Think about the balance between the commission you pay and the reach. With lightweight kids bikes, parents looking for a bargain will be prepared to travel or pay for postage. Children tend to leave bikes at the bottom of the garden, covered in sand, mud, on the floor getting scratched. It’s up to you to either get them into the habit of treating their bikes better or just do it yourself, can be simpler – but that’s a parenting decision for you to make. The outcome needs to be that your child’s bike get’s a quick wipe down if it’s muddy and put away in the dry after it’s used. That way you can maximise the value every time you upgrade to a bigger bike. Give your kids bike a thorough clean and polish so it shines. You’ll also use this time to flag up any little chips and issues the bike may have. You may only be selling an old bike but there’s going to be competition and you want your bike to stand out. So take a little time over your pictures. Take the pictures in daylight, with a nice looking background and make sure you can see all of the bike. You want your pics to say, this bike is from a nice home and has been looked after well. People want to see what they’re buying so take some close-ups, if they’re buying online they need the confidence of being able to look it over as if they had it in the room. If there are scratches or other damage to the bike, be clear about what it is and take pictures. It will increase the buyers’ confidence in you as a seller and therefore you may get a better price. You can usually find all the details you need from the bike brands website. As with the pictures, if there is any damage make a note of it, you don’t want people turning up to buy the bike only to feel they have been miss sold and ask for their money back. Get a quote for posting so you can let would be buyers know how much it will cost in your description. 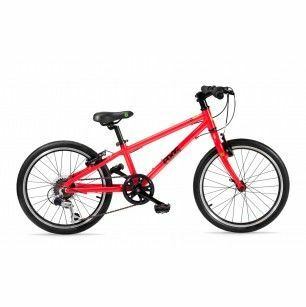 Red Frog 52 – these bikes aimed at kids around 5-7yrs old really hold their value well! Descriptions aren’t just for buyers, they will also help your listing get placed better in a search. Make sure you use clear descriptive terms that people would be typing into a search engine to find the bike. eg. Second-hand Red Frog 52. Look on sites like eBay to see what bikes have sold for in the past. Click on advanced search on the far right at the top and then choose the ‘sold listings’ option. Or just click here https://www.ebay.co.uk/sch/ebayadvsearch and type in your search term. This is also a good idea when you are buying new, you can see if the bike will hold its value and instead of always buying second hand, you can buy new and upgrade each time. It’s worth looking to see for example if the colour affects the resale value. If you’re not in a rush to sell you could try starting with a higher price, the time of year helps (before the Easter and summer holidays are great for selling used bikes). Birthdays are all year round, so there will always be people on the lookout for second-hand kids bikes. That all sounds like a lot of effort!? If selling your child’s bike online seems like a faff you don’t need, you could try selling it to a local bike shop. At The Little Bike Company, we will always take back any bike bought from us as part exchange on a new bike.